Read more about the classes we offer below. If you have more questions, email us or ask an instructor in person. 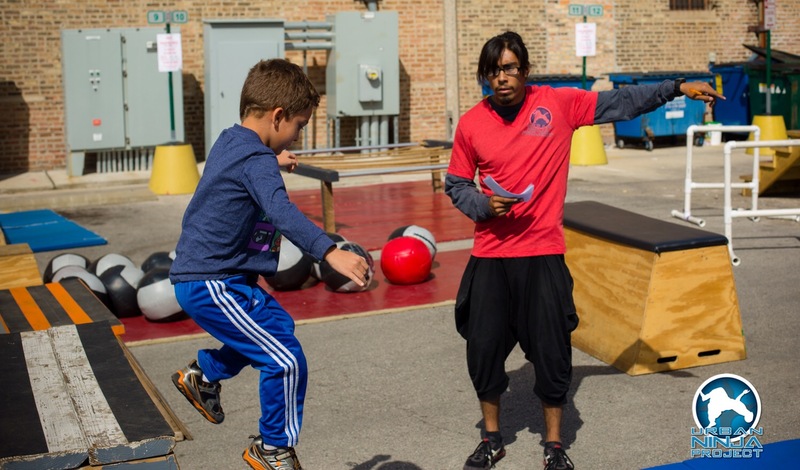 Our Urban Ninja class brings together elements of parkour, obstacle training, and martial arts to improve focus, strength, and how to overcome our fears. Kids classes are appropriate for ages 5+. Although the class is in a group environment, kids practice skills at their level and at the pace they feel comfortable with. Cardio kickboxing is an exciting way to burn calories and build both skills and muscles. This curriculum is based on modern sanshou kickboxing and blends agility, speed and explosivity training to make you both healthy and confident. This 60 minute class will keep you moving the entire time, while you work at your own skill level and meet challenges to grow beyond them. This class is appropriate for ages 16 and up. This class can also accommodate new to fitness and mild disabilities. 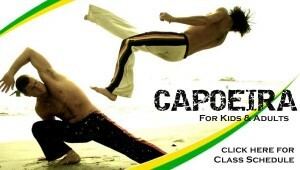 Basic capoeira class is all about learning basic kicks, dodges, and movements. Using simple easy moments to help individuals develop the skills to play capoeira. The class pace is mild and uses a lot of partner practice. Students not only learn basic sequences they also learn take downs. The goal of the class is to have fun and to develop the skills need to play and grow in capoeira.